Last week, President Obama put Vice President Joe Biden in charge of a cancer-cure drive. Next week, a panel will meet in La Jolla to chart China’s risk from the disease. La Jolla conference is set for Feb. 26. The event is free. To register, see Eventbrite. “China is in the throes of a cancer crisis,” says host Jamie Reno, a San Diego-based journalist and three-time survivor of stage IV non-Hodgkin’s lymphoma. NBC News journalist and author Jonathan Alter, a cancer survivor, had planned to attend the La Jolla conference but had to graciously bow out, Reno said Monday. Hua Liu, consul in science and technology gffice of the Chinese Consulate General in Los Angeles. 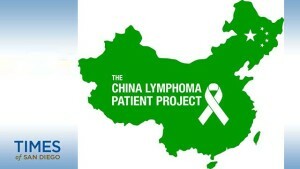 Dr. Xiangming Fang, president at Denovo Biopharma, a biotech firm with offices in China and the U.S. and a lymphoma treatment that will soon be in clinical trials throughout China. Dr. Jonathan Schatz, lymphoma physician and researcher from Memorial Sloan Kettering, Sylvester Comprehensive Cancer Center, and the University of Arizona. Dr. Lilly Cheng, director of the Confucius Institute and language professor at San Diego State University. Dr. Huan-You Wang, pathologist, lymphoma diagnostic expert, co-Director of hematopathology, Department of Pathology at UCSD Moores Cancer Center, who studied medicine in China. Dr. Catriona Jamieson, researcher and expert in lymphoma and other blood cancers, director of stem cell research at the UCSD Cancer Center. Retired Air Force Col. Deanna Won, stage IV cancer survivor, China expert, integrative and holistic health coach and motivational speaker. And Dr. Jinghong Li, president-elect of the San Diego Chinese American Association and physician at UC San Diego trained at Peking University Health Science Center, Beijing.